It was two words, two words that shook the cobwebs and got me thinking again: Ovis montana. For those who can read Latin, or for those big-game enthusiasts, I don’t need to tell you these two words translate to an old classification of the wild ‘mountain sheep’. Mind you, I wasn’t looking for a mountain sheep of any kind; I was just finishing up John Muir’s Mountains of California when suddenly I was struck by these two words: Ovis montana. Montana, I deduced from its Latin-sheep translation, must refer to the English word ‘mountain’ — those incredibly complex, volcanic masterpieces that enraptured my heart this summer in California. Intrigued with my Muir find, I stepped up the research. Dissecting the word’s etymology led me to discover that ‘Montana’ actually comes from the Spanish word montaña, which also, in fact, refers to mountains. How did I not notice that Montana looks and sounds like montaña? Montana. It’s a state that keeps popping up in my consciousness, and I realize now for good reason. I’ve long dreamed of traveling the West Coast and putting up a permanent residency, and my stay in San Francisco this summer only cemented that longing. But Montana I’d never really considered, never even gave it a Midwestern’s thought, since it doesn’t border the golden Pacific coastline. My exploratory graduate school research earlier this year led me to discover the “Land of the Shining Mountains” — and now Montana won’t stop calling my name. I first endeavored upon the graduate school search last spring, as a helpless, career-less sophomore: looking, plotting, planning, and archiving links to one day (maybe) return to. To date, I have resources from the University of Arizona; University of California, Berkeley as well as UC Davis; George Mason University in Virginia; and, perhaps not surprisingly now, the University of Montana. Before I got sidetracked by the serendipity of real life in the summer, I had previously investigated Montana’s Environmental Studies graduate program as a real-good possibility for the next step in my environmental services quest. The program is incredibly multidisciplinary, and each one of the focus areas actually appeal to me: environmental education, environmental justice, traditional ecological knowledge, environmental policy and law, land and water, environmental writing, and sustainable food and farming. I don’t think I could choose just one focus, at this point! But I let the thought of graduate school drift away with the balmy summer breeze. Maybe, I thought, I’m just not cut out for another degree. National Geographic Traveler opened up the doorway even further this summer with its #MontanaMoment challenge. Sitting on the shores of Caribbean Beach, I remember longing for Montana’s mountains and sense of adventure in the stifling Florida humidity. The mountains seemed exciting, new, and altogether unparalleled from my suburban retreat in land-locked Ohio. I didn’t know anything about Montana, and yet I felt destined to go there. 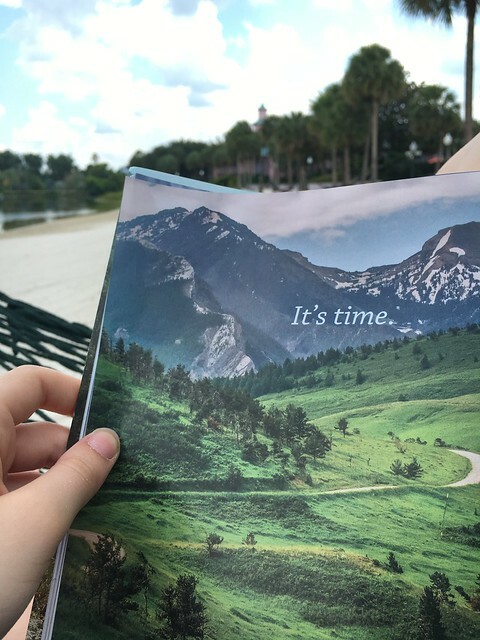 The advertisement lured me in, and I found myself thinking It’s time…. And that was even before my mountainous transformation in California later that same summer. Touching down in the Bay Area for the first time has to be the best memory of my life so far, seriously. Zooming and weaving through Bay Bridge traffic with a rather reckless (though efficient!) Ukrainian driver, my thoughts and mind were whirring. Alcatraz Island, on my left. Those crane-like contraptions that inspired the famous Star Wars AT-ATs, on my right. Fisherman’s Wharf, a crown jewel in the distance. The natural beauty of the Bay Area overtook my environmentalist soul. Never before had I been completely surrounded by mountains, and an ocean, and an air of otherworldly adventure. Never before had I been blown away like I was with Berkeley. 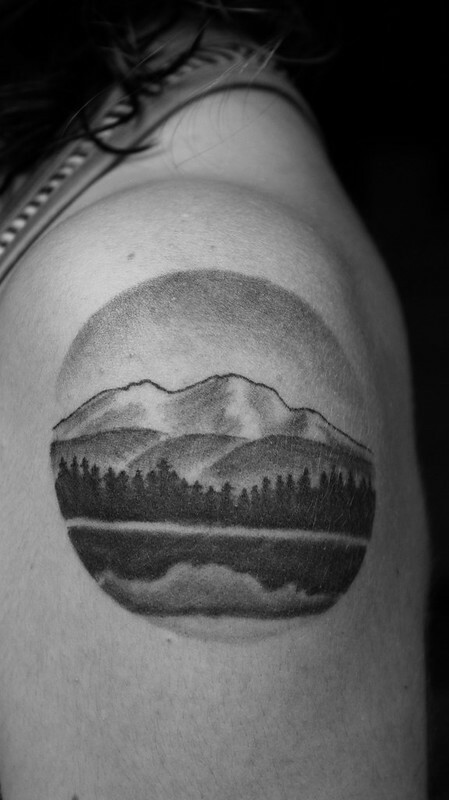 Why did I love the mountains, cradling the East Bay, so much — so much that I got one permanently imprinted on my left shoulder? Honestly I don’t know how it happened, but the mountains have become the symbol most illustrative of my life story. They’re perfect personifications of majesty and mystery. Crowns and peaks, lessons of unfathomable strength and resolute dependability. They can be rough and dangerous, but they can also be stunningly beautiful in the twilight winter gleam. Summiting a mountain takes patience and practice — just like navigating through the trials and gains of life. A glimpse of the mountains this summer humbled me, showed me that the world is wide enough, big enough, utterly amazing enough, to squash all my humanly problems in one thunderous avalanche. And I needed my focus to be reminded: there are battles worth fighting for that extend beyond the self and human suffering. Perhaps this is why the mountains — Montana, montaña — continue to whisper in my ear, saying, ever-so persistently, It’s time….